From adjustable beam Pallet Racking, heavy duty shelving through to ‘live storage’, & fully integrated turnkey warehouse schemes, Pallet Racking sets a standard for goods, or product storage in small, medium, or large warehouses. Using commercial shelving, whether new or second hand, can vastly improve productivity within large industrial warehouse companies. ISS Pro Rack, an Australian supplier of industrial shelving units, spoke about the needs of large organisations using industrial, or commercial shelving. If you run and operate a business that features a warehouse wherein you store products, then you no doubt take advantage of commercial shelving. Without commercial shelving the working conditions in your warehouse would be unsafe for workers and would be a nightmare to manage. Industrial shelving allows companies to effectively store products and to organize them in a manner that allows them to move products and find products with every little effort. If your warehouse does not take advantage of commercial shelving then your warehouses productivity and organization are not at the level that they should be. The idea behind commercial shelving is to first provide organization to a warehouse. This organization is also designed to free up space in a warehouse. Imagine a warehouse that has no type of industrial shelving. There would be boxes of products sitting about everywhere. There would be no way to properly organize these boxes and they would take up a lot of space. This would make it impossible for forklifts or other pieces of equipment to move about and collect and move these boxes. When you install industrial shelving in your warehouse you can purchase shelves up to 11 metres in height. These shelves would then be constructed in a very strategic manner and placed in a manner which allows you to take advantage of all the space in your warehouse. This will provide excellent organization and will also make your warehouse a much safer work environment for the warehouse employees. Additionally, it will prevent common damages from happening to your stored products. If you don’t take advantage of commercial shelving you will quickly discover that many of your products will be damaged. You can avoid potential damage to products up to 80% when you use industrial shelving. Productivity of a company will also improve when industrial shelving is taken advantage of. It will be easier for warehouse workers to move products from shelves, to find products that they need, and to transport them from one location to another. This is due to the manner in which commercial shelving is designed. It is not only designed to save space and to protect products, but is also designed to easily be managed with equipment. The majority of industrial shelving is also designed to deal with the general weight of any type of product that you choose to store. This allows you the freedom from worry from shelves collapsing and causing injuries to employees or to the products which you are storing. ISS Pro Rack is Australia’s leading provider and manufacturer of commercial shelving and industrial shelving. They are a friendly and efficient company who have the best interests of their customers in mind when assisting them in obtaining the commercial shelving that will work the best with their particular warehouse. Additionally, they are one of the most affordable commercial shelving companies in the industry. If your company is located in Australia and you are looking to improve your warehouse productivity, then you should contact ISS Pro Rack for an assessment of their services. 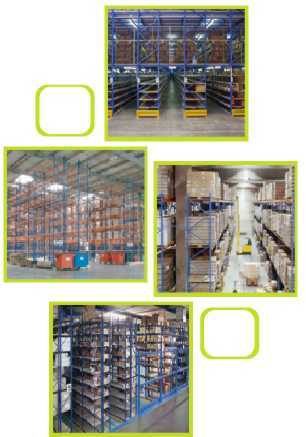 ISS Pro Rack is a leader in industrial shelving in Australia. If you are looking for commercial shelving that is affordable and built to last, then you should consider the services of ISS Pro Rack.